AVALON — Catalina Island is home to at least eight species of bats, including two that are considered to be at risk, and the Catalina Island Conservancy is seeking to monitor and protect the Island’s bat population with the support of the Donald Slavik Foundation. Bats are essential to the ecosystem on Catalina Island and around the world because they consume insects, pollinate flowers and disperse fruit and plant seeds. But many bat species are in decline because of the loss or fragmentation of their habitats, reduced food supplies, destruction of their roosts, the direct killing of individuals and diseases, including white nose syndrome, which has destroyed entire colonies of bats on the East Coast. The Donald Slavik Foundation provided the funding for the conservancy to buy state-of-the-art acoustic monitoring equipment allowing biologists to detect and identify additional bat species and assess their overall distribution and habitat. 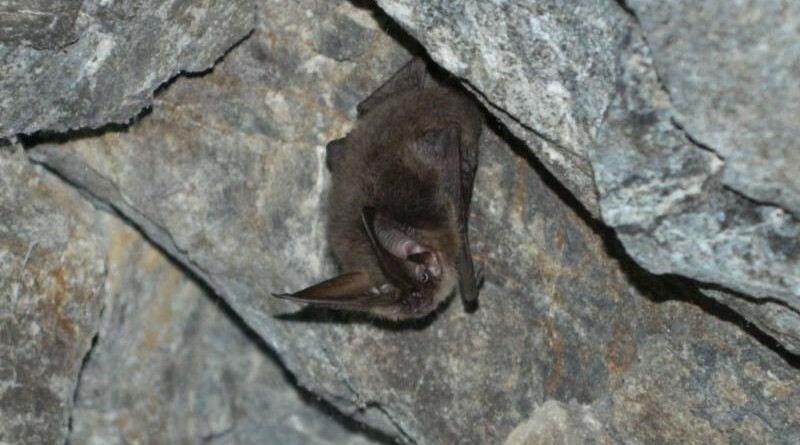 This funding also was used to install bat-friendly gates at the entrances of three abandoned mines where Townsend’s big-eared bats were documented or are expected to occur once human disturbances are eliminated. The bat gates are specifically designed to allow bats to enter and exit the mines freely while restricting access to humans. Because abandoned mines are prone to collapse, the gates also will protect island residents and visitors who might expose themselves to danger by exploring the abandoned mines. Catalina Island’s diverse landscape provides bats with abundant natural habitat, including natural caves and rock crevices, trees and water. Bats utilize human structures as well and, in many cases, these human structures can support large colonies.